SUITABLE FOR: UP TO 80 GUESTS. 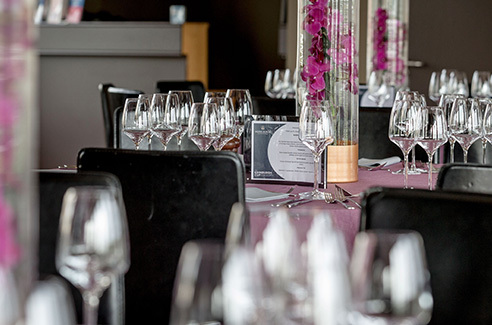 The Lothian Suite, on the ground floor of the Queen's Stand, offers hospitality packages with a fine dining menu, private garden with a panoramic view of the racecourse, private bar, Tote betting facilities and Racecourse TV. Your guaranteed a premium racing experience in our Lothian Suite, which can be booked exclusively for up to 80 guests. On select racedays we also host our Lothian suite restaurant which provide private or shared tables, offering a luxury three course meal prepared and served by the award winning Heritage Portfolio.